For your security, you have a limited number of attempts to supply the correct information. Do not forget to logout eMDS once you completed your transaction. Copyright © 2015 Land Bank of the Philippines. All Rights Reserved. 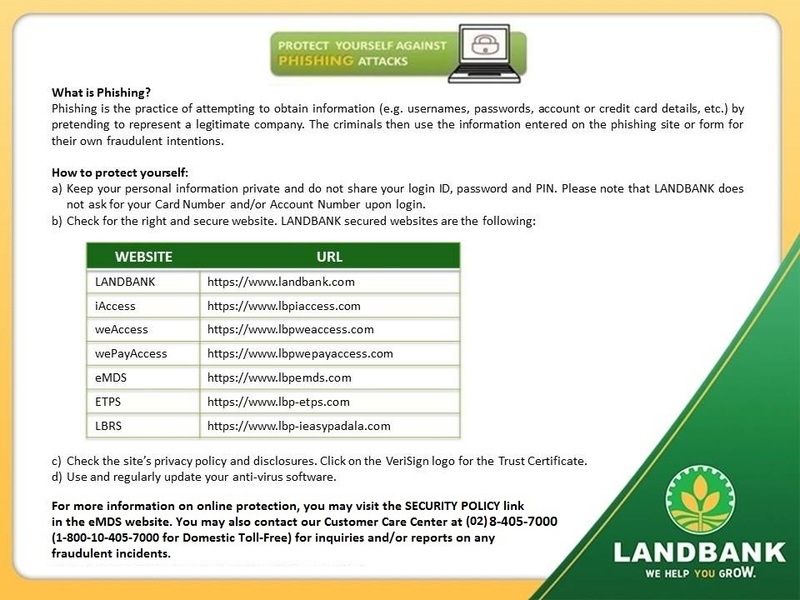 LANDBANK is a member of PDIC and Bancnet.